With the US debt ballooning to a new record of $16.7tln and the deadline to fix the ‘debt ceiling’ expiring on October 1, a default threat looms over the world’s largest economy. Experts agree the government will broaden its borrowing limit. The latest warning to Congress comes from the International Monetary Fund, who urged the US Congress to reach an agreement to raise its debt ceiling and avoid a federal government shutdown. “This is important for the continuation of the recovery in the US and beyond that in the global economy,” IMF spokesman Gerry Rice told reporters in Washington DC Thursday. 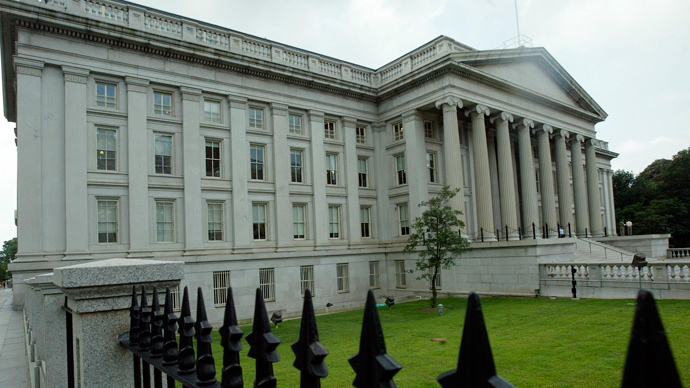 As of September 25, the US Treasury reported its federal debt at $16,699,396,000,000.00 in their daily treasury statement, a figure which has been reported for 130 days straight, situating spending about $25 billion shy of the legal limit of $16,699,421,095,673.60. Treasury Secretary Jacob Lew calculated the US would run out of money by October 17 and have less than $30 billion cash in hand if Congress fails to pass its spending bill by October 1, when the new fiscal year starts. If the US authorities don’t agree to raise its ‘debt ceiling’- the maximum amount of money the US can borrow – the country will need to admit it can’t pay its bills. While a default of the world’s biggest economy is highly unlikely in practice, in theory it would result in the deepest crisis ever, Igor Nikolaev, director of the strategic analysis department at PKF, a Moscow-based auditing firm, told RT in an interview. “Should the US default, global trading will come to a halt, with absolute uncertainty hanging over the global economy,” said Nikolaev. Regardless of the depth of the US debt abyss, the country has never officially violated its ‘debt ceiling’, that’s been in place for almost a century. And that’s simply because the country’s policymakers have always raised the affordable limitations, insisting it was legal. “The United States can pay any debt it has, because we can always print money to do that. So there is zero probability of default,” Alan Greenspan said on NBC's ‘Meet the Press’ in August. 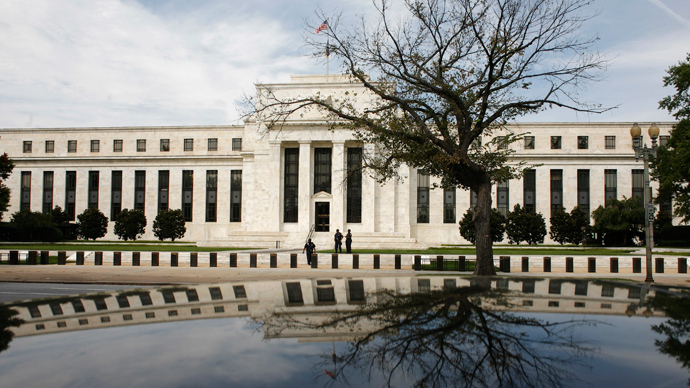 In another argument, experts say the Federal Reserve itself is the second biggest holder of US public debt, which means it can easily relieve the overall burden on the part it holds. “The country needs to smell smoke to make the country do something about their massive debt. Maybe when the ratio of their debt to GDP nears 100 percent, they’ll start thinking over the ways to cut the burden,” said Nikolaev. The fiscal issue has now turned into a political fight, with President Obama taking on Republicans in negotiations over how to tackle the country’s $16.9 trillion in amassed debt. Republicans and Democrats are using the debt ceiling debate as a platform to discuss and negotiate larger budget issues- what programs the government can – and cannot – afford to keep. Senator Ted Cruz, a Republican, delivered a 21 hour, 19 minute filibuster tirade against Obama’s Affordable Health Care Act on Wednesday. The debt ceiling is not an economic debate, but rather a political arena for Congress to re-visit past and future legislation. In short, it’s a political gambit for Republicans who don’t like Obama’s healthcare program, which they claim costs American jobs and must be defunded. The harebrained antics of Congress are likely to play out until the Republicans get enough from Obama to quell their calls to ‘shut down Washington’. In 2011, the debt ceiling limit extension was stipulated on the condition it include ‘sequestration cuts’ - an automatic ‘haircut’ that reduces the budget deficit and is heavy-handed on defense spending. If sequestration cuts are re-approved, discretionary spending would be capped at $967bn in 2014, instead of the $1.058 trillion the Democrats want. Democrats, who hold the majority in the Senate and seem to think they have enough votes in the House, are “almost across the board,” on their position not to allow sequestration this time around. 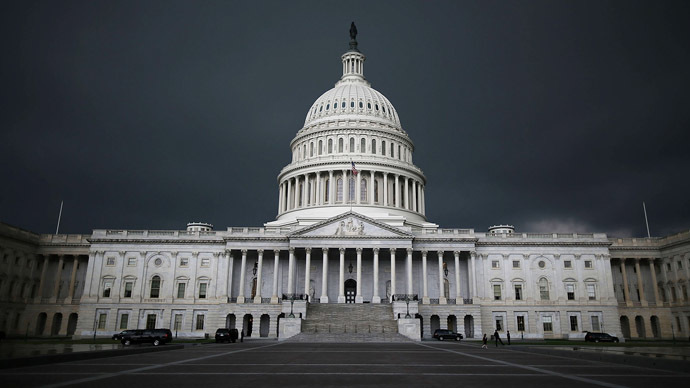 Americans are almost split down the middle on raising the debt limit, with 46 percent for and 43 percent against, according to a Washington Post poll.